Click here to download printable Mural Tour Map. - Tour lasts approximately one hour. - Tour complimentary and open to all ages. - Wear comfortable shoes as you will walk location to location. 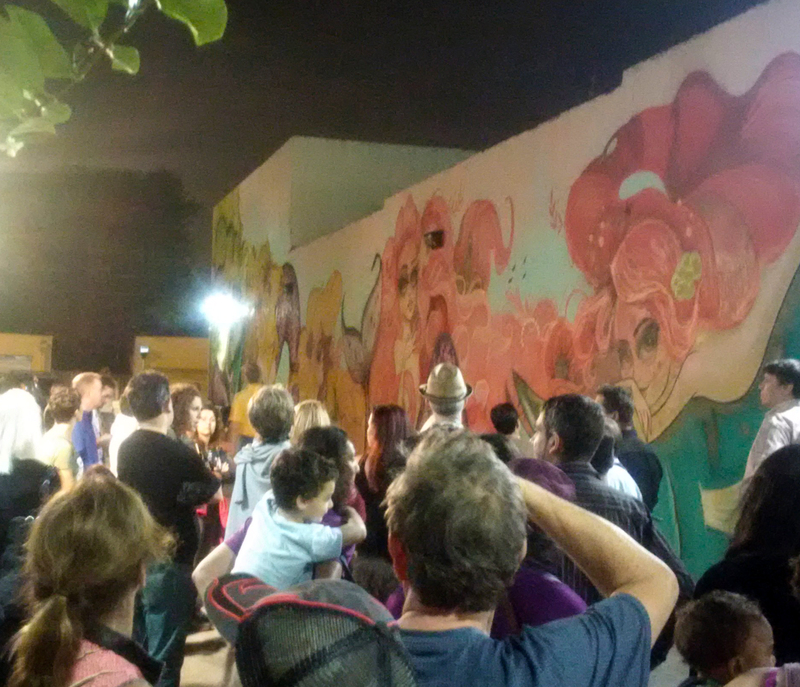 Spend a leisurely evening enriched by unique art & culture in Florida's Hollywood during the Downtown Hollywood Mural Project Walking Tour. The Downtown Hollywood Mural Project is a collection of curated outdoor murals by both local, national and internationally recognized artists presented by the CRA of Hollywood. Stroll through the streets of Downtown Hollywood on this guided tour to learn about this unique project and the City of Hollywood. Leave with a greater impression and appreciation for artists including Tatiana Suarez, Rone, The London Police, Ernesto Maranje, Logan Hicks and Kenny Scharf.